FAQ - JHB Telephony Services Inc. Here is a list of the most frequently asked questions about business phone systems and our website. Interested in comparing business telephone systems? Check out our list of the 10 Best and Worst. Q: Why doesn’t JHB list prices on so many of our phone system products? · Most of equipment we sell is often available in any combination of new, used, refurbished and sometimes even remanufactured. · For some models of phone even the color of the phone can sometimes change the price. · We also offer quantity discounts which can vary from product to product. · Since we want to give our clients the best combination of price and support we find direct contact with us is the best way to achieve that goal! Q: What is the difference between buying used office telephone equipment versus refurbished equipment? 3) Used and tested with some warranty – usually 30 to 90 days. Refurbished office telephone equipment is also of course previously “used telephone equipment” but with the big difference being that a qualified technician has worked on the equipment, replacing any non working, worn parts or components. In many (but far from all) cases the phone or component may also have been repainted. *Refurbished office telephone equipment – unlike used office telephone equipment – comes with a full warranty of at least one year. 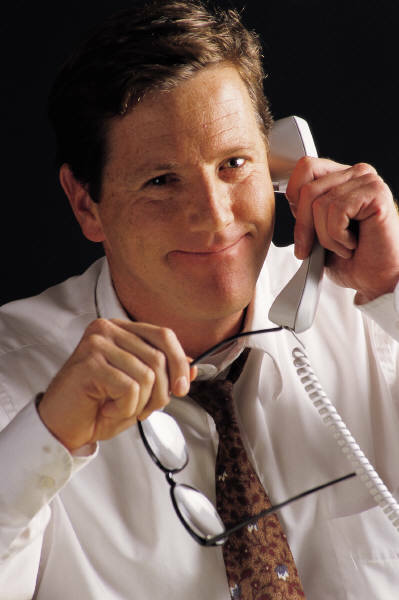 Q: Isn’t buying new business phone system or new office telephone equipment always better? A: Surprisingly in our experience – no it often isn’t! Keep in mind that during its creation most new business phone systems or office telephone equipment never see a live person until maybe the time it’s packed for shipping. Refurbished office telephone equipment on the other hand is produced through the work of a real live human technician who personally takes responsibility for the high quality of each piece of office telephone equipment that he or she works on! So while new office telephone equipment is good and fine as far as quality goes we have found by and large that over time refurbished office telephone equipment usually stacks up, working as well or better than new office telephone equipment! Refurbished business phone systems or office equipment also costs significantly less and has a similar or an even better warranty! Q: Aren’t digital business phone systems always better than analog phone systems? A: If you are looking for a traditional non-VOIP business telephone system that works with standard copper telephones lines then there is almost no difference whatsoever. As long as the business phone system is made by a reputable manufacturer (please see our Best/Worst 10 list) the quality for either an analog or digital business phone system is going to be the same. Digital systems do offer a slight benefit in the cabling of your business phone system. Digital systems require only two wires per telephone and analog systems require a minimum of four. So if you are moving into an office that already has phone cables you potentially can put in more phones by investing in a digital business phone system versus an analog business phone system. Q: What if I own a 2 or 3 person or home based business -Do I have to go to the expense of a full business system? A: Not at all. In fact you can use an internet based hosted IPBX – another form of VOIP business phone equipment technology -that allows you to simply invest in phones alone and get all the features and benefits of a full phone system. To learn more about this please drop us a note via the below quick quote form. Q: What type of wiring do I need for my phone system? – (4 wire) or four pair (8 wires). Some older phone systems may also use three pair cables (6 wires). Cable Ratings: Business phone equipment and I computer equipment cables are also rated by “Category” or the amount of speed the cable can handle. For instance “Category 5 or 6 cables” is cable that’s made to handle the type of high speeds that are needed for your computers. For cables being used for voice – that is conventional non IP related business phone equipment lower speed and often less expensive cable such as Category 2 or 3 will work just as well – even with fully digital business phone systems. Most internet based Voice over IP (VOIP) Business phone systems require 4 pair Category 5 or 6 data cables. In many if not all cases a VOIP phone can share a cable with a desk computer. Ask us and we’ll be happy to advise you as to which size and category cable is best for your telephone system.In West Central Florida we can also do the cabling for you! Also Teflon fire retardant coated cable is sometimes required by local building or fire codes. Check with you local fire department or municipal government to make sure which is required in your office. Q: Can I install a business telephone system I purchase from JHB myself? A: In many cases YES! We can often ship the system pre programmed to your specifications (a small additional programming charge may apply) so that all you need to do is hang the main box (otherwise known as a CPU or KSU) on the wall, connect the phones to it and you’re “good to go”! In some cases however if your programming needs are more sophisticated or the cable in your office is bad, nonexistent, or simply not set up for a phone system it may be better to bring in a professional to install your system through our network of highly qualified independent contractors. Q: What about integrating my telephone and computer system? A: This is very doable through use of a Voice over IP business phone system or IPBX. We can help you with all of these things just ask one of our professionals and they’ll be glad to help! Q: If I send JHB a phone or other component to repair how long will it take? A: Our normal turnaround time is 3 to 6 business days from the time we receive the item to the time it is repaired and on its way back to you. For a small additional fee we are happy to handle rush orders that can be turned around in one to 2 business days and shipped back to you overnight or second day express.